1st: $1,000, 2nd: $500, 3rd: $200, 4th $100. Heats Thursdays Nov 8,15,22,29 at 7.30pm. Registrations close 7pm. 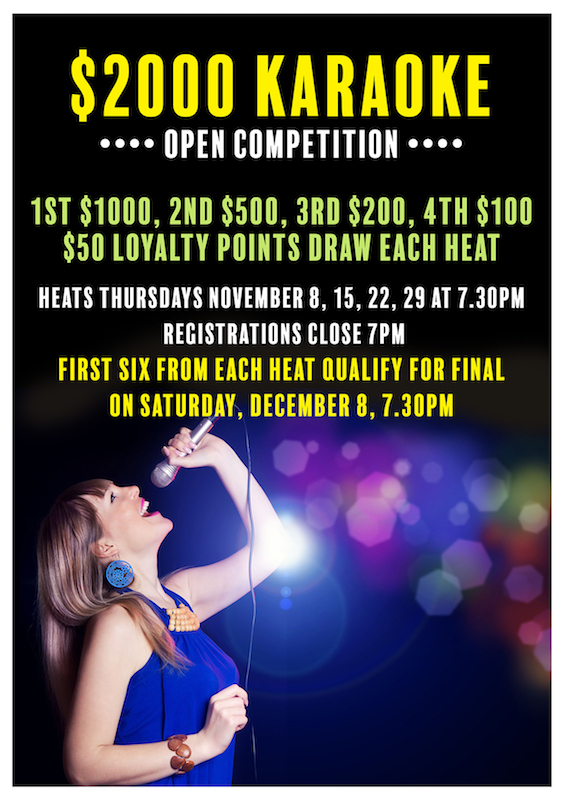 First six from each heat qualify for final on Saturday December 8 at 7.30pm - Free Entry.